Monarch Mountain is required as part of our Special Use Permit (SUP) with the USFS to submit an annually developed Winter Operating Plan (OP). As a permitted operation on the San Isabel National Forest, we may establish rules and guidelines within our permitted area. These are based on a combination of operational, safety, and environmental concerns. 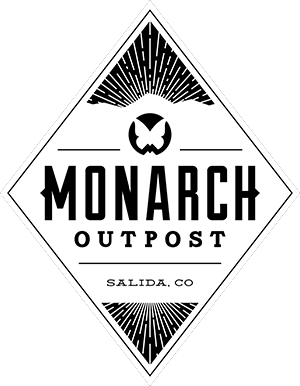 Its purpose is to authorize Monarch to conduct activities and provide public services on National Forest System lands within the SUP boundary in accordance with Federal law and regulation and USFS policy. The OP represents a working tool through which the USFS and Monarch establish the operating responsibilities and procedures for the ski area’s operations. A section of the OP covers the Monarch Mountain Vehicle Policy Plan. This covers the policy provisions that apply to everyone wishing to gain access to the mountain in summer/winter (during, before or after normal work hours or business related travel). All vehicles (INCLUDING SNOWMOBILES) must have approval; with the exception of USFS vehicles with proper exterior ID. Company personnel desiring access with a vehicle other than a company vehicle must obtain approval from the GM or VP of Mountain Operations. ONLY current personnel on company payroll will be granted permission. These vehicles are allowed on the mountain ONLY for company related activities.